Create and run contests easily and engage your followers by offering them giveaways or randomly pick a winner to receive your product that you name as contest prize. You can create as many contests as you wish. First thing you have to do is name your contest by adding a title. Select the product that you name as contest prize and set the time interval for when the contest is valid. 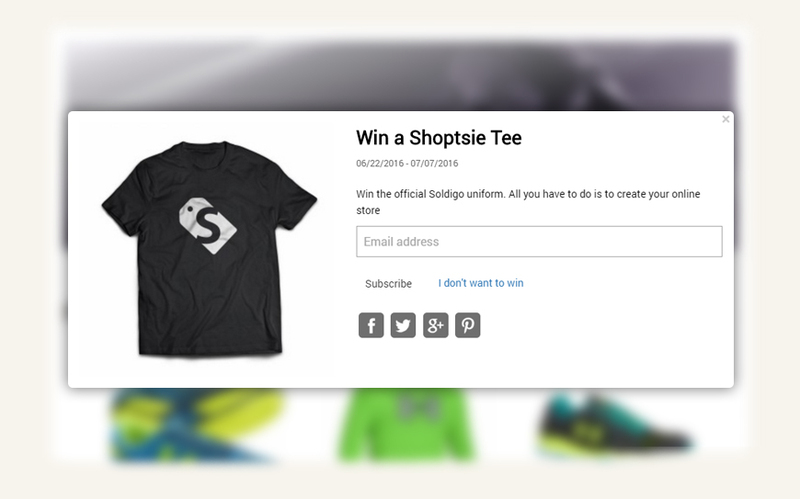 Write a short description about your contest and finally click the Save button. The contest will be listed in a pop-up window on your Soldigo store.